In my book Choose Grace, Why Now is the time, I write of the Law of Grace. 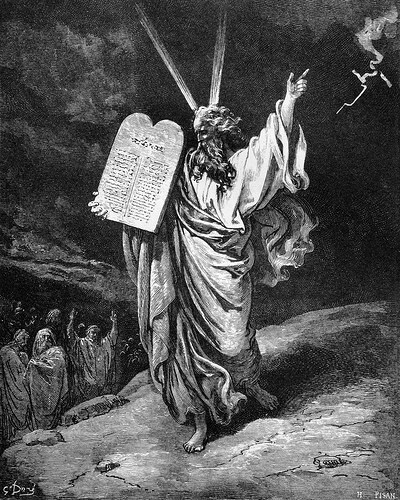 The Law of Moses represents an earlier tie of evolution in the history of humankind. The Law of Grace expands our daily choices and is based on love and continued growth. There is value in briefly exploring a time where individuals and societies were heavily influenced by the Law of Moses. It was what we knew and accepted. Yes, many of the concepts are still held as truth today and direct our beliefs and actions, either consciously or subconsciously. I write of them here to highlight what laws are underlying our present beliefs and actions. I believe now is the time to be aware of and make an effort to identify our beliefs and decide if they are serving for the highest good. Living within the Law of Grace may require a shift from past conditioning, both personal and cultural. Today, I choose to write about another law that is shared by many in this culture, the Law of Moses. I address only my interpretation of the Law of Moses that seems to place God totally outside from human experience. This law seems to delineate a narrow choice of actions and sets forth punishment and even condemnations of those who step outside the prescribed behavior. It has appeared to be a law of prohibition most likely set forth to direct behavior within the confines of this Law of Moses. I embrace the idea that some of humanity is moving beyond a dictating, punitive, and “an eye for an eye” mentality towards embracing a loving creator that experiences itself as love reflected in each person. Each person recognizes they are Divine and worthy, and each person acknowledges the Divine in others regardless of their behavior. Now is the time to “Turn the other cheek” and rise above the revenge and hate. Call in the golden light of Grace, and make the choice to reside within the higher organization flow of Grace embracing the Law of Grace.